This is a revelation. Though up to this point things may have seemed suspicious, Holly has had little evidence to back his theories other than a certain smell of fishiness in the air. Were this an American cop drama rather than a more subtle noir, the porter would become one of the most important witnesses, the testimony that could make or break the case. He would be taken into protective custody or witness protection, or at least a detail would be dispatched to watch his house. But Holly has none of those resources at his disposal. As viewers we know that this is an important fact as well, if only because of the film’s title. Up to this point, the title has been simple, enigmatic and elegant, but not meaningful. Though it has taken us 25 minutes of screen time to get here, we now know the real object of Holly’s meandering investigation. The painting has been reproduced in sculpture and in film, most notably in Michel Gondry’s Eternal Sunshine of the Spotless Mind, but whatever the reproduction, what is striking and uncanny about this image is the nondescript visage of the figure. 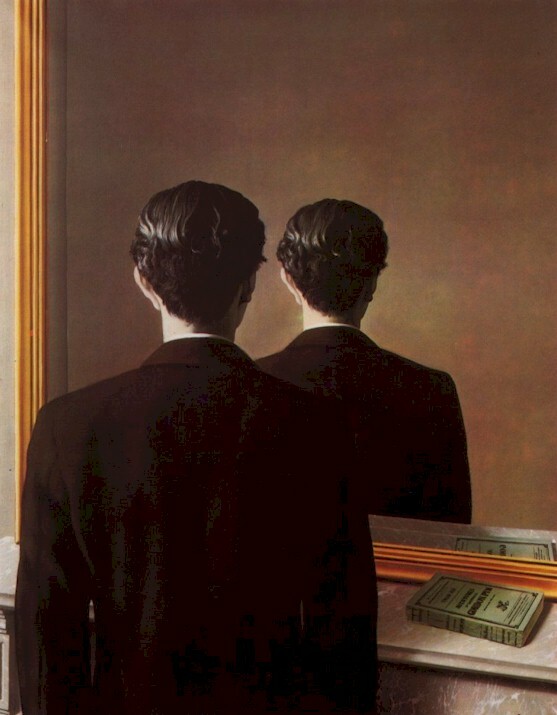 “The fear of the encounter with the double is in large part the dread that others will not recognize the similarity, hence the fear of a sous-entendu metamorphosis: if the other is the mirror-image but others do not seem at all to recognize the startling exact likeness–in Dostoevsky’s The Double both the clerks in the office where Golyadkin works and Golyadkin’s servant Petrushka show no sign of astonishment or fright at the sight of Golyadkin and Golyadkin (who moreover have the same bald patch and are dressed the same way); one of the clerks at first speaks of family resemblance–I must have become different-looking and different. The dread of the encounter with the double is also the dread of the indefinite extension of responsibility, which is a facet of the unconscious: other people’s strange failure to notice the uncanny resemblance when my double and I are together is conjoined to their mistaking him for me when we are in different locations–I am responsible for what the other did” ((Vampires) An Uneasy Essay on the Undead in Film, Station Hill, 1993, pg. 189). In a film full of doubles and doubling, from Holly’s constant confusion of Callahan for Calloway, or Anna’s continued mix-up between Holly and Harry, Holly may have much to fear from the doppelgangers haunting him in the Vienna streets. 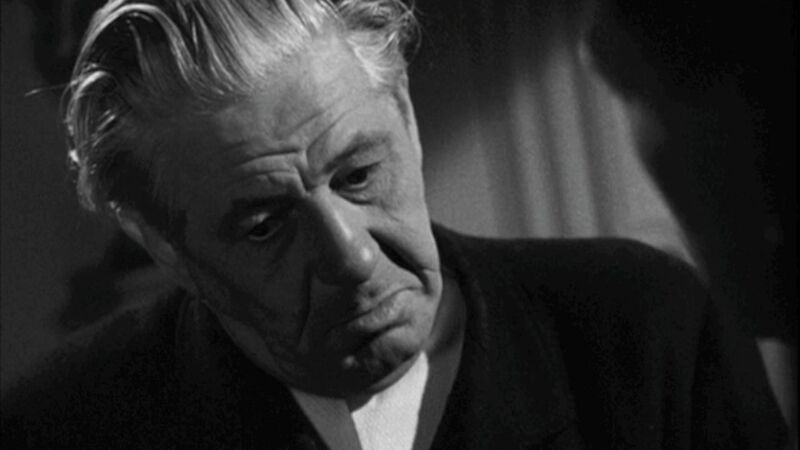 Over the absolute length of one year — two times per week — Still Dots will grab a frame every 62 seconds of Carol Reed’s The Third Man. This project will run until December 2012, when we finish at second 6324. For a complete archive of the project, click here. For an introduction to the project, click here.